Working on the website (again) and a new house! So, during the time since we arrived at Ft. Benning, GA, we have been living first in Army Post lodging and then at a Residence Inn in Columbus. Although this house in the picture is not "THE" house (its one from our neighborhood) it shows you what our house basically looks like. All the houses on our street are the same, with different locations (obviously!) so as of Monday we have an address! Next week is our move-in week, and we will be having our first visitor! One of my Wisconsin girls is coming to visit, reason being for her to get out of town (she recently moved down South and lives in GA!) and to help me with our move-in. I don't really need the help, but its a good excuse for her and I to hang out and catch up and for Michael and I to be a testimony for Christ. She and I have been keeping up on Facebook, but this'll be our first time getting together for 3 years! Michael is excited to be involved in the life of a student I knew from before I knew him. 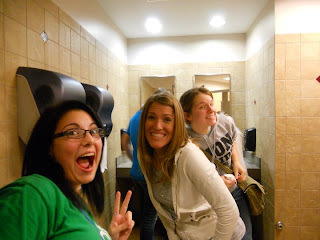 I am looking forward to girl time and hang-out time and lots of talk time. She's staying for a week!!! So pray for us, that the Lord would protect our attitudes during this time of transition, especially when we have another soul in our care. See ya on the other side. Maybe with some good move-in pics! I have also been working on our Kenya missions trip, having a slow start of it in January setting dates and trying to get our team together. Unfortunately, because of lack of applications (we only had one) we had to cancel the trip and send that one student on another of our opportunities. She'll be going to Cameroon instead, which is cool! I am disappointed that we weren't able to make it fly, especially since it was a trial partnership with another organization, but so it is. I am a bit relieved as it free's my schedule up from complications as Michael and I move to Georgia. 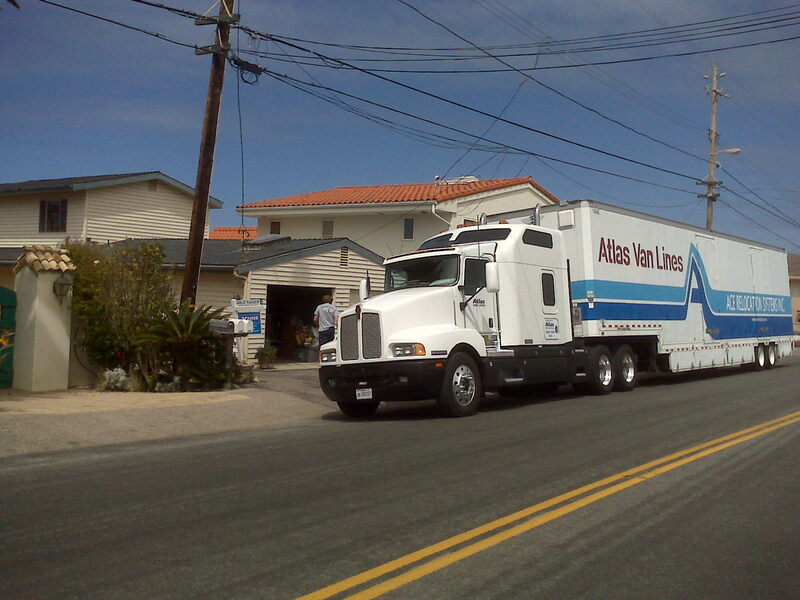 So yeah, we are moving as of May 30th and taking the long drive East. We are due to the new job on June 8th. In the meantime I'm leaving to see my brother and family in the Middle East, with my parents as of this Tuesday, returning April 26 to California. I've got a work conference to attend in Orlando May 9th-14 and then a couple days at the Southwest Regional recruiters retreat down in Southern California. Then it's one more weekend, attending a family wedding in Santa Barbara and then....leave Cayucos. I'll definitely miss the view, the West Coast culture and the constant growing season. Last week Michael took me to Hawaii for a Christmas/early Anniversary present. We visited the island that I lived on 1987-1990, showing Michael my old house and my town and some of the activities I loved. We visited a ministry friend of his who now works and ministers to the military on Oahu and gene rally did the "Hawaii" tourist thing. It went so fast, Sunday to Friday. On Saturday we attended the wedding of a really good friend and youth ministry partner of mine in the Los Angeles area. It was really special to witness that event and I am so so happy for Doug. We both met our spouses on eHarmony! I'll be away again for another few weeks, visiting my bro, but I ought to have some pretty cool pictures to show you when I get back! A partner organization of ours! I was just introduced to "banners" while creating our student website! So here's my favorite so far. We are hoping to hear from the website called www.vision2025.org for a banner from them. It would create a countdown of Bible Translation right on our website www.wycliffenextgen.com Very cool! 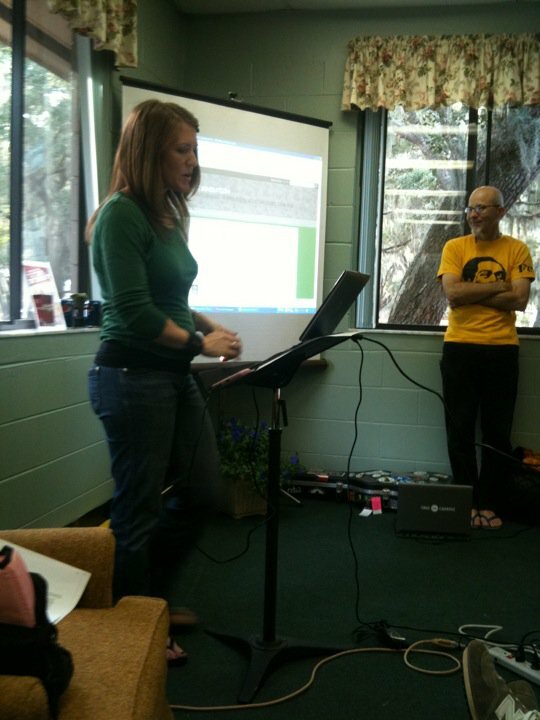 To update you on all that's been happening here within NextGen, I'll start with the 2010 annual retreat. 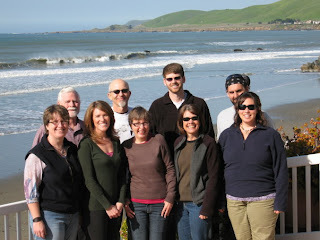 Held here in Cayucos, as you readers know, we had a regular 8 of us, and couple extra's a few days. 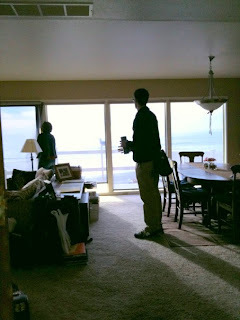 Everyone loved being here at the Stone's house, the view for one is wonderful. We were able to rent a small place three streets away for sleeping quarters and the meetings happened here at the house, as well as most meals. By the end of the week, we felt like we knew where we were at as far as our strategies for this coming year, and we were moving forward in understanding each others jobs. We had discussed a marketing strategy and felt like we were finally all on board. We discussed the website I'm working on and everyone seemed to be ready and excited to use it. 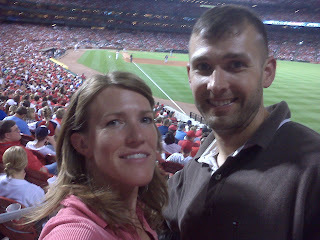 We did a few fun things as well. 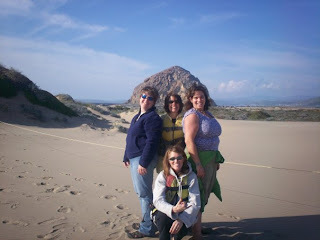 We went canoeing in a large 12 person canoe and even did a little exploring in Morro Bay! 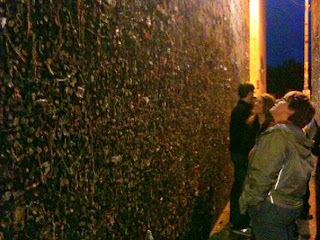 Another evening after meetings we stopped to see "Gum Alley" in San Luis Obispo( a kind of gross alleyway covered in bubble gum) before heading our for our annual dinner "out" Overall, it was a successful and effective time as a team. We were able to accomplish discussions in person that, over the phone are either not possible or frustrating. 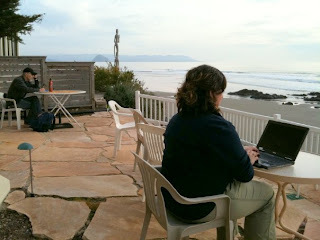 For the next week I was playing catchup and working on a few of the new ideas generated during the retreat. We're still working on the kinks for the new site, but the GetGlobal trips will begin to do their team planning and team meetings online there! This week the challenge is the Kenya GG trip. We have hit a few snags as far as the trip dates, but we are also seeing the hand of God in it. My boss/friend Tracy will likely be able to make the new dates better than the old ones. We have seen God use the details of the trip and some new immovable barriers, as His way of making the details of the trip fit His plans. We see this particular trip as a "test trip" for our new partnership with Wycliffe Associates. We hope that this trip will help us work out the details so that next year and the coming years we will be able to facilitate more than one trip a summer and give student a broader range of opportunities to see the multitude of ways they can serve in Bible translation. My biggest concern personally is that I am to be the team leader, but also I will have been just moved to Georgia with Michaels new assignment. So, something to pray about. I really, really want to go to Africa with a team of students...but not sure if I "should" go. In the meantime, I'm the team coordinator...so if you know anyone interested in a summer trip to work alongside a community of people working on deaf translations in Kenya!??? Have 'em call me!